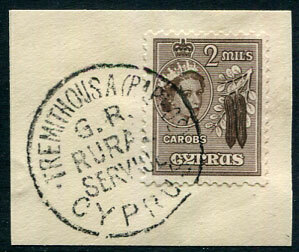 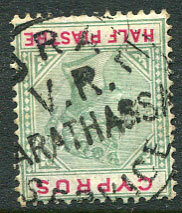 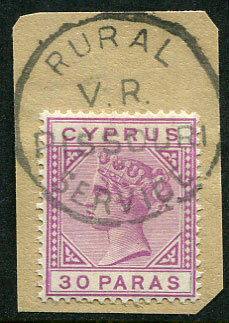 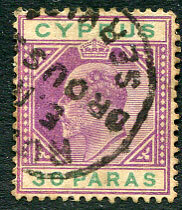 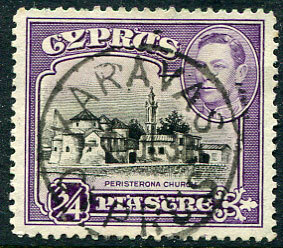 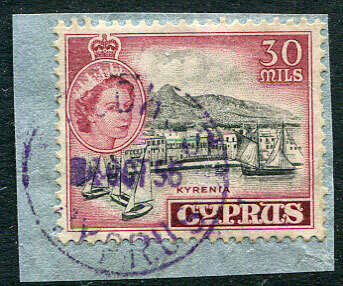 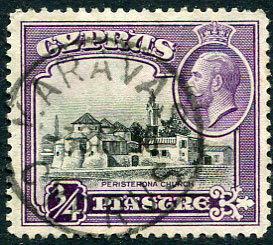 (T.21) on QV 30pa mauve (SG.32) piece. 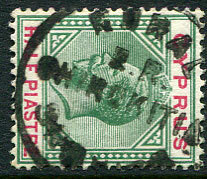 (T.23) on KE7 ½pi MCA wmk (SG.62), one shortish base perf. 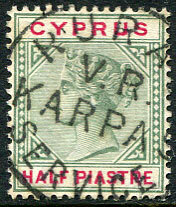 (T.7) 3 SP 36 on KGV 3/4pi (SG.135). 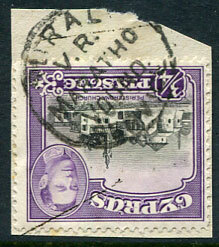 (T.2a) A/NO 6 03 on KE7 ½pi (SG.50). 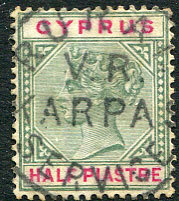 (T.21) on QV ½pi (SG.40), stain top right corner. 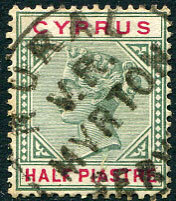 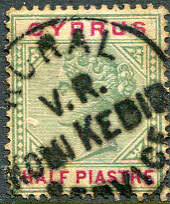 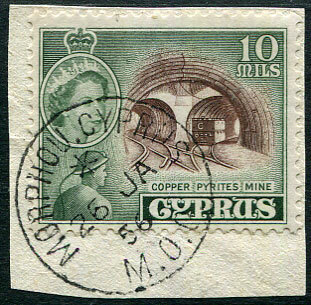 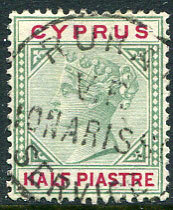 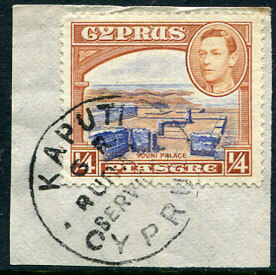 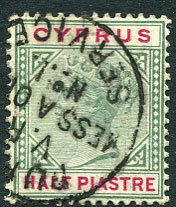 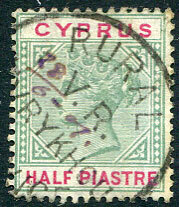 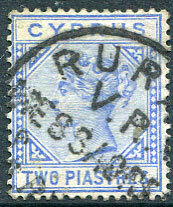 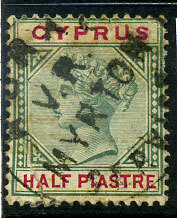 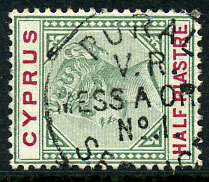 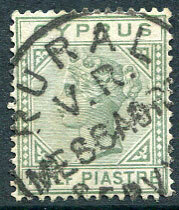 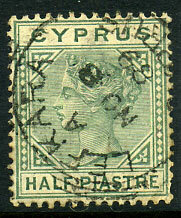 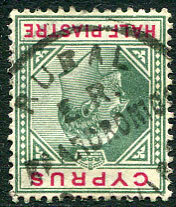 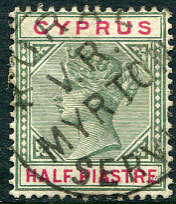 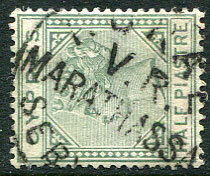 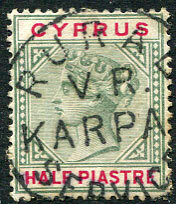 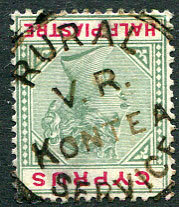 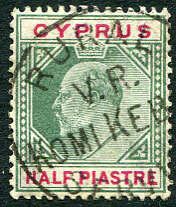 (T.21) on QV ½pi (SG.40), sealed tear lower left corner. 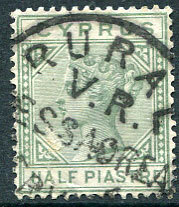 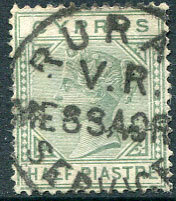 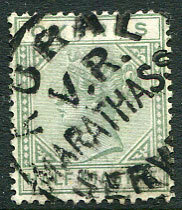 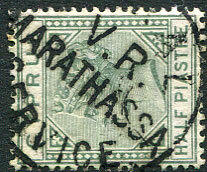 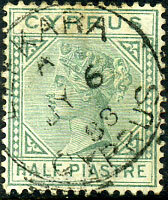 (T.21) on 1892-94 QV ½pi dull green Die II (SG.31). 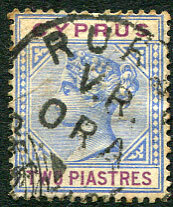 (T.21) on 1892-94 QV 2pi ultramarine Die II (SG.34). 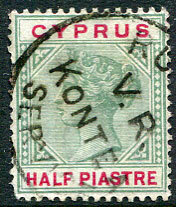 (T.21) on QV ½pi (SG.31), full perfs. 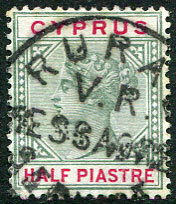 (T.21) on QV ½pi (SG.31). 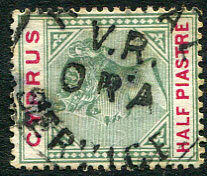 (T.21) on QV ½pi (SG.40), perf. 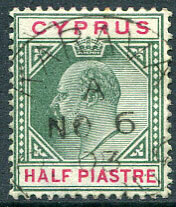 faults. 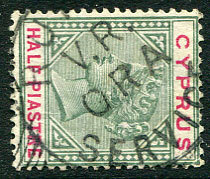 (T.21) on QV ½pi (SG.40), full perfs. 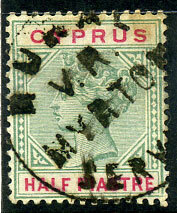 (T.21) on QV 2pi (SG.43), some toning and soiling. 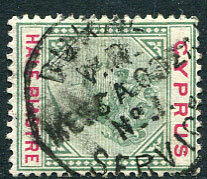 (T.4) sqc dated A/JY 6 88 on QV ½pi (SG.16a), early date. 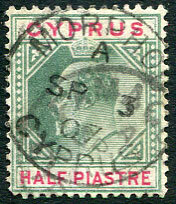 (T.4) sqc dated A/NO 8 89 on QV ½pi (SG.16a), early date. 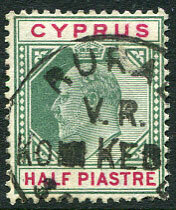 (T.23) on 1912 KGV ½pi MCA wmk (SG.75). 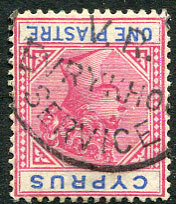 (T.23) on KE7 30pa MCA wmk (SG.63). 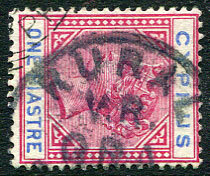 (T.21) on KE7 ½pi (SG.50). 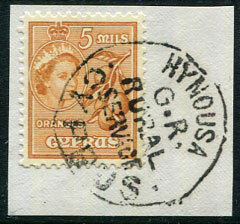 QE2 postmarks QV Head pmks QV reign R in oval as "killer"